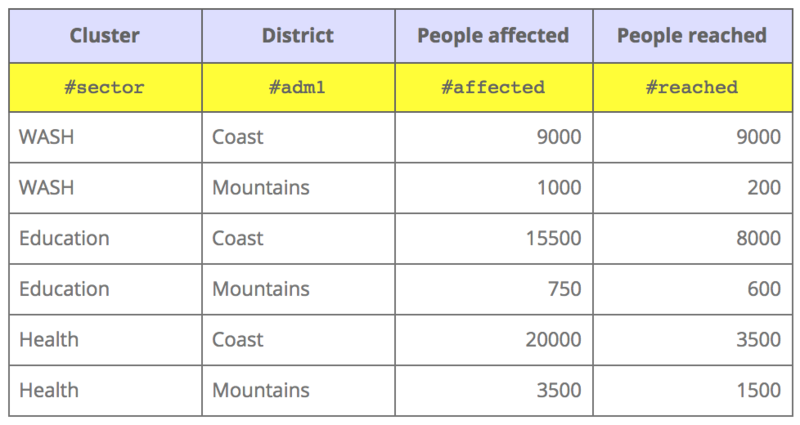 When authoring an XLSForm, simply insert one extra row in any existing spreadsheet and fill it with humanitarian hashtags identifying the type of information in each column. 1. After starting a form and creating a question, go into Question Settings and in the Question Options tab, choose your HXL tag and add attributes. 2. After the form has been created, the project deployed, and data has been collected, go to the Downloads tab in the Data page. Select the export type as XLS and be sure to select XML values and headers for the format. Then Export. 3. 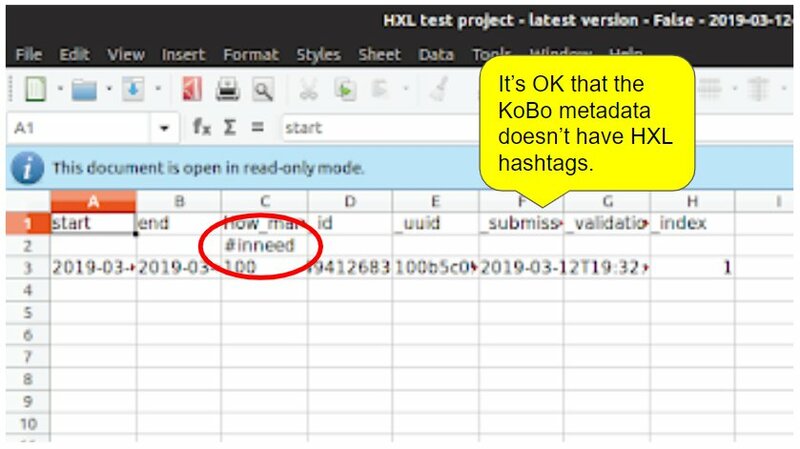 Once you have exported and downloaded the data to your computer, open up the XLS file to see your HXL tags. *The hashtag before name is mandatory. Spaces are not allowed.